The Main Elements of this Super Band will be - Powerful Musicianship and Masterful Vocals missing in current Acts. I'm Seeking Collaborators and Partners at all Professional Levels in this Enterprise. • The “Ultimate Pop/Alternative/Rock Band”. 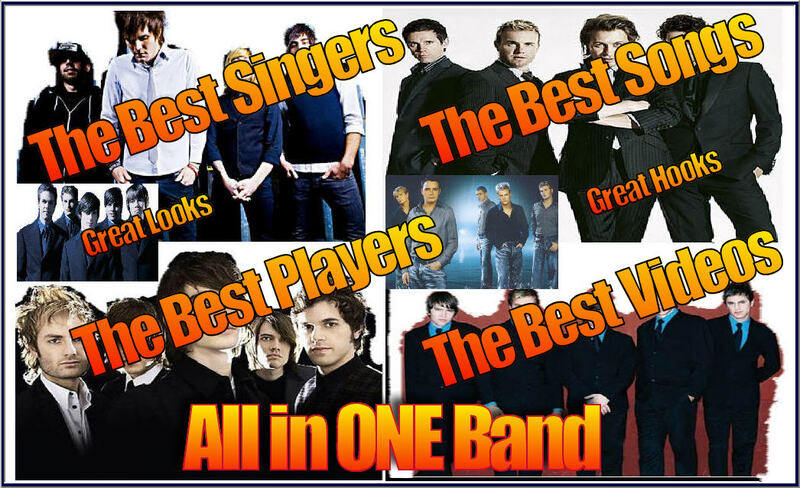 A Musical Caliber to match most “Player Bands”. • Strong Live Performances featuring Rich Vocals, Musical Prowess and an Amazing New Sound. • Over 500 Unpublished Songs to Choose From. (Mine) 500 more from various other songwriters. • “Say Something” Songs with lyrical clarity, depth and strong themes (For better gigs & videos). • Cutting Edge Recording Techniques - starting with a mix of Loops, Electronic and Live drums. • Our Secret Weapon will be Powerful Cover Song Arrangements to supplement our Originals. Why Me to Head this Project? I have been a part of some very powerful live presentations and band situations. These acts have a common thread - they all require a higher level of talent and teamwork to come off properly. I spent 15 years (Over 10,000 performances) working hotels, lounges, casinos and showrooms in order to focus on writing and recording the 500 Song Catalog. This catalog is the crux of the plan as it is the Substance that glues all the other parts together. Along with my Original catalog, I have honed my arranging abilities on the revamping of hundreds of cover songs in the process. I was even informally commissioned by Muzak Corporation to create a channel called the “Cover Kings” for that purpose. I went on to create The “Ultimate ShowBand” - RetroSpect with 100 remade Covers for our Shows. As far as a vocalist and schooled musician, I began my formal training in Berklee College of Music in Boston as a Vocal/Performance Major and have been drawing on that knowledge all my life. As far as videos, I won the TOWER Records Music Video Award (National) for a video I shot in my living room. I’ve been shooting and editing videos for these songs for 2 decades now and have dozens of ideas for the shooting of the new ones.